Great communication before and during the stay. The apartment is spacious, comfortable, quiet and clean, and child friendly. Really appreciated provision of a travel cot as well as hand soap, bathroom cosmetics, kitchen roll, dishwasher tablets and washing tablets etc. We will definitely stay here again when we come back to Colchester. It was very easy to book. Communication was great and very quick assistance when needed to extend my stay. Loved the fact that it was spacious and free tea and coffee. Close to where I needed to be. Very secure and reasonably easy to find. Very private. Clean property, clear instructions on how to get in. Would definitely use again next time I am in Colchester. The spacious house and the decoration of it. It was comfortable. Overall all was excellent. No complain but good comments only. 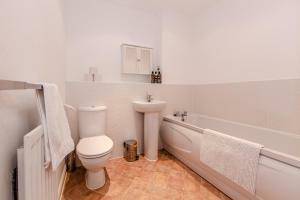 Large two bedroom appartment with two bathrooms and working kitchen facility. 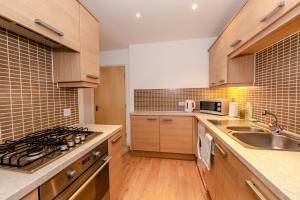 Close to city centre and free parking on site. A very big field is right outside the apartment. Good for those who like jogging. 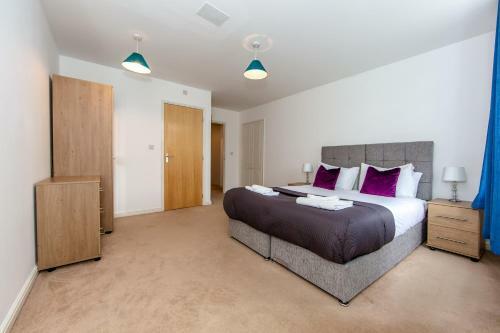 Lock in a great price for Colchester Abbey Field Serviced Apartments by PLL - rated 8.4 by recent guests. 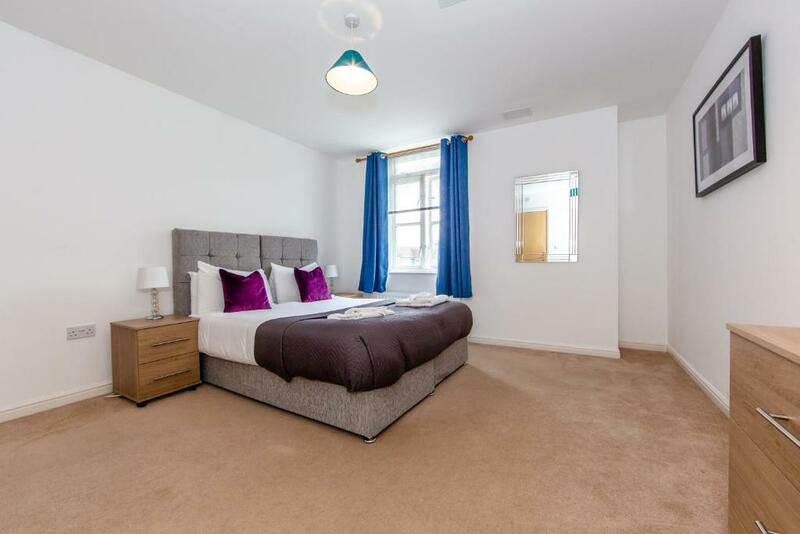 One of our top picks in Colchester.Colchester Abbey Field Serviced Apartments by PLL provides accommodation with a kitchen, set in Colchester. Complimentary WiFi is featured. 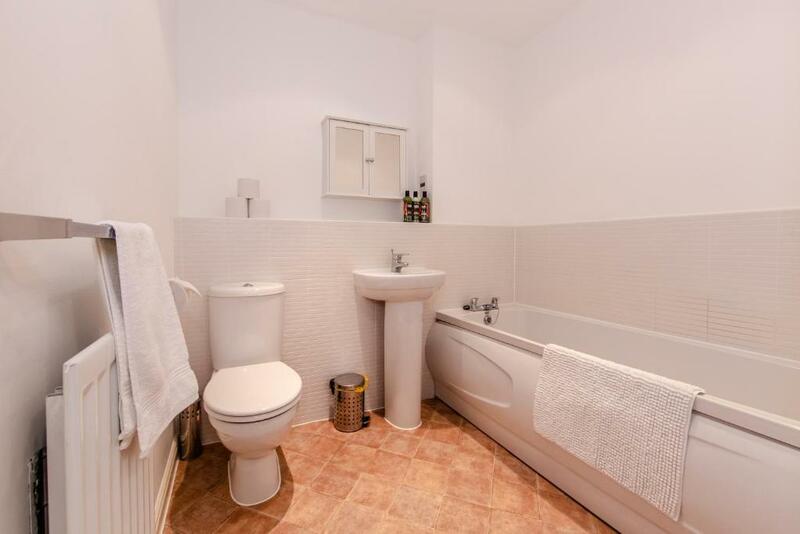 All units come with a seating area, a flat-screen TV and a private bathroom with free toiletries, bath and shower. A dishwasher and oven are also offered, as well as a kettle. Colchester Castle is 1.4 miles from the apartment, while Colchester Zoo is 3.1 miles away. 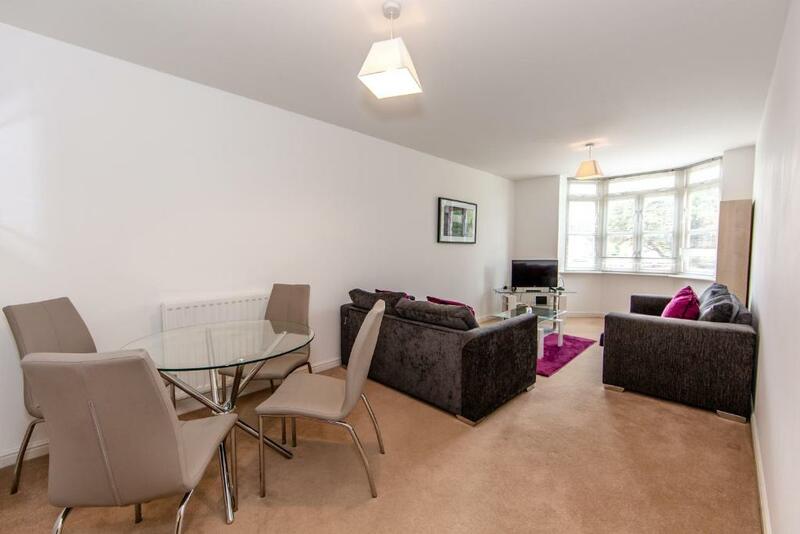 The nearest airport is London Stansted Airport, 34.2 miles from the property. Colchester Abbey Field Serviced Apartments by PLL has been welcoming Booking.com guests since 4 Jan 2017. 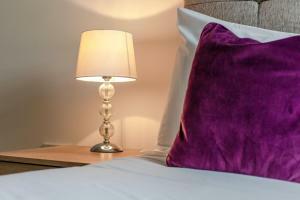 When would you like to stay at Colchester Abbey Field Serviced Apartments by PLL? This apartment has a kitchenware, DVD player and seating area. This apartment features a oven, tumble dryer and DVD player. Pure Luxury Living Presents..... Abbey Field Executive Apartments! 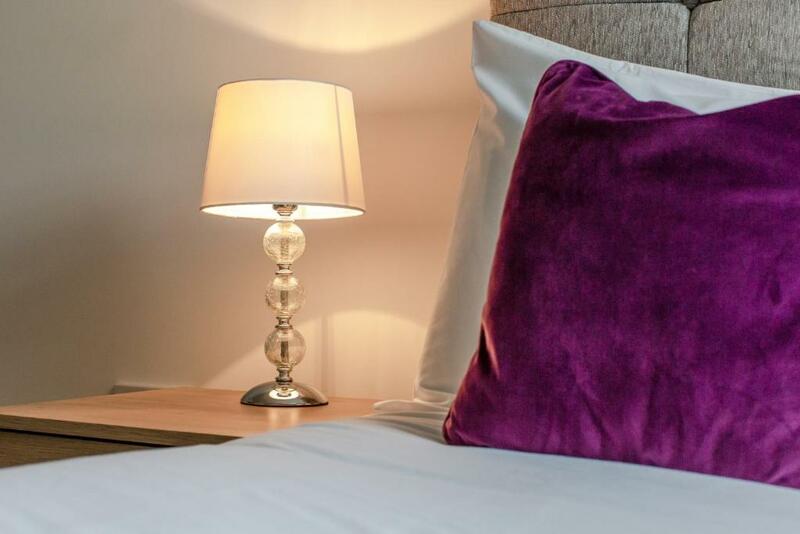 Our two-bedroom fully serviced apartments are walking distance to the Town Centre. Perfect for small business trips, small families or couples. 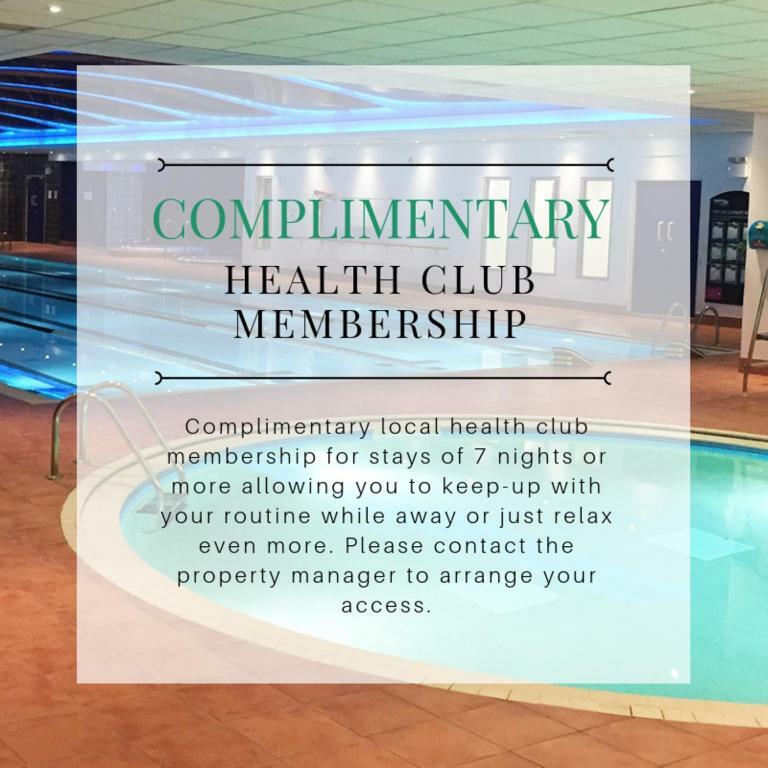 Our apartment offers ease of access to transport, supermarkets and the town centre meanwhile allowing the convenience of privacy and parking. Colchester is an historic market town and the largest settlement within the borough of Colchester in the county of Essex. Claimed to be the oldest town in Britain, is linked to London by the A12 and a few miles away from Stansted Airport. 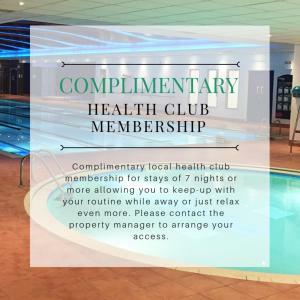 A modern town with first class visitor attractions, including the family favourites Colchester Zoo and Colchester Castle, as well as fantastic places to eat, drink and shop. House rules Colchester Abbey Field Serviced Apartments by PLL takes special requests - add in the next step! Up to three children under 16 years are charged GBP 25 per night when using existing beds. Bankcard Colchester Abbey Field Serviced Apartments by PLL accepts these cards and reserves the right to temporarily hold an amount prior to arrival. Colchester Abbey Field Serviced Apartments by PLL accepts these cards and reserves the right to temporarily hold an amount prior to arrival. Kindly note that the accommodation may not be suitable for guests with mobility impairment as some apartment are accessible by stairs only . Early check-in before 15:00 is possible subject to availability. Late check-out after 10:00 is subject to availability and a charge of GBP 35 up until 12:00. This must be requested 48 hours prior to departure. Complimentary housekeeping is offered once a week. 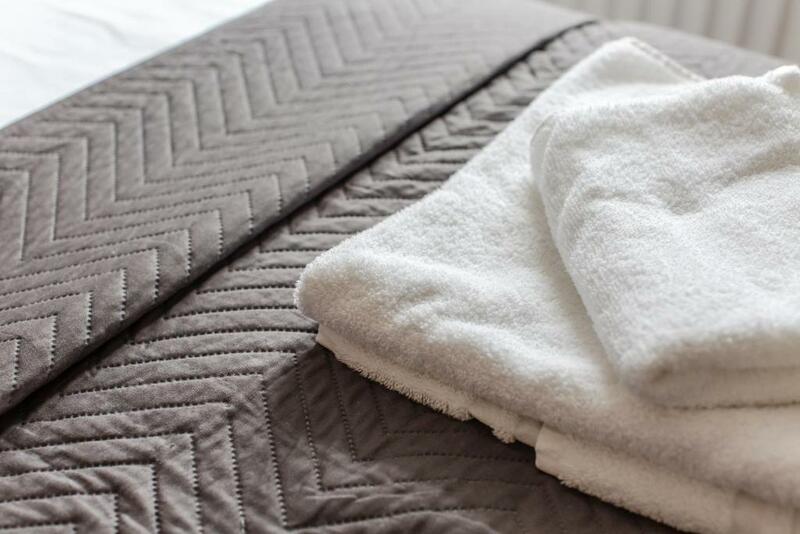 Additional cleaning and change of sheets and towels will be charged at GBP 50 per service. Guests must sign and return the rental agreement from Pure Luxury Living Accommodation before check-in details and the full address is sent. Guests must send photo ID so that Pure Luxury Living can set up a virtual check-in for security and safety purposes. Please inform Colchester Abbey Field Serviced Apartments by PLL in advance of your expected arrival time. You can use the Special Requests box when booking, or contact the property directly with the contact details provided in your confirmation. The size of the rooms..
Boiler was playing up all through. It kept turning itself off so it was difficult to take a bath or shower or heat up the apartment. I had to use the kettle a couple of times to boil water for the kids to bathe before school. Someone came the first time we complained to look at it but it tripped off again and again. No digital TV but luckily there was Netflix. We still enjoyed our stay anyway. No instructions on how to use the heating, coming from another country where we don’t use radiators it was a bit confusing. Once figured out, I think the temp gauge was not working as had to keep resetting on the boiler to get radiators to work again. Recommend a stronger key ring too as the keys kept falling off. The carpet wasn’t properly cleaned. The bathtub also didn’t seem clean so we only used the shower. The apartment overall was really nice. Second story location with 3 flights of stairs from parking. Only one shower was working. Central heating was poor and the curtains let too much light in. It is not too close to the town center, about twenty minutes walking, maybe a long way to go on foot at night. It is located in front of Abbey Field. It is a quiet and nice place to stay. The house is comfortable and it has everything you may need.